The energetic, fluctuating pace of the metropolis has long lured photographers to capture-often candidly-the chaos, character, and incident of modern urban life ever since the genesis of photography in the 19th century. 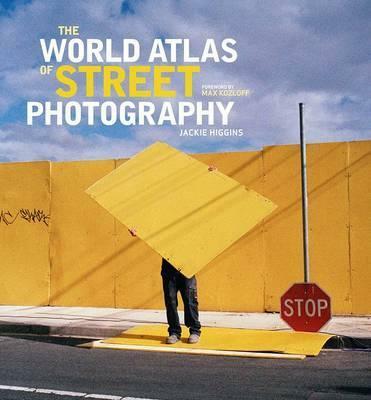 The World Atlas of Street Photography focuses on the abundance of photos created on street corners internationally, including classic documentary street photography as well as mediated images of urban landscapes, staged performances, and sculpture. Twelve specially commissioned artworks are featured, in addition to a wide selection of striking and well-known images of city life. Lively and informative, this handsome book compiles expressions of a vibrant genre and is the first of its kind to scour the globe-from New York to New Delhi, Beijing to Brighton, Havana to Hamburg, and Sydney to Seoul. This magnificently illustrated compilation of more than 700 images presents over one hundred established and emerging contemporary photographers, including Nikki S. Lee, Lise Sarfati, Jeff Wall, Daido Moriyama, Alexey Titarenko, Christo and Jeanne-Claude, David Goldblatt, and Julio Bittencourt, among many others. The World Atlas of Street Photography offers a peek through the lenses of photographers chronicling the fever, furor, and intimacy of urban life. Illustrations note 500 color + 140 b-w illus. Jackie Higgins is a writer, journalist, and filmmaker specializing in photography. A writer and producer for over ten years, she currently focuses on issues of identity in contemporary Japanese photography. Other areas of her research include 19th-century photography and contemporary uses of the camera obscura.